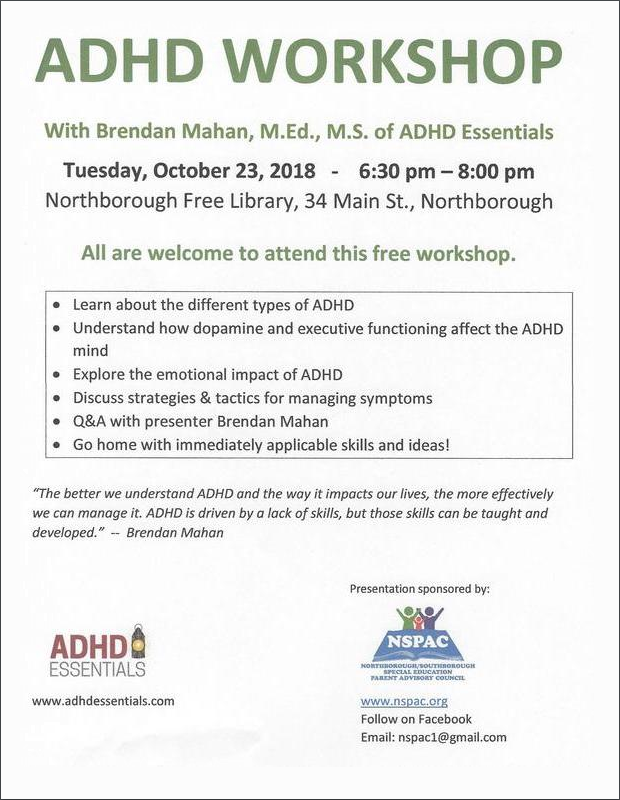 The free workshop will be held at the Northborough Free Library on Tuesday, October 23rd from 6:30 – 8:00 pm. 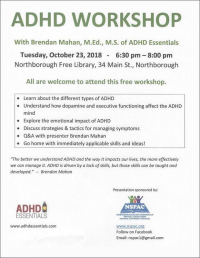 The talk will be by Brendan Mahan of ADHD Essentials. You can read more about him here.